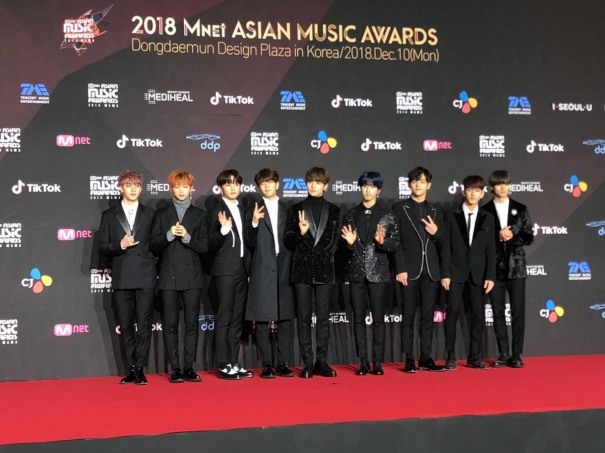 Stray Kids have arrived at the red carpet of the 2018 Mnet Asian Music Awards. 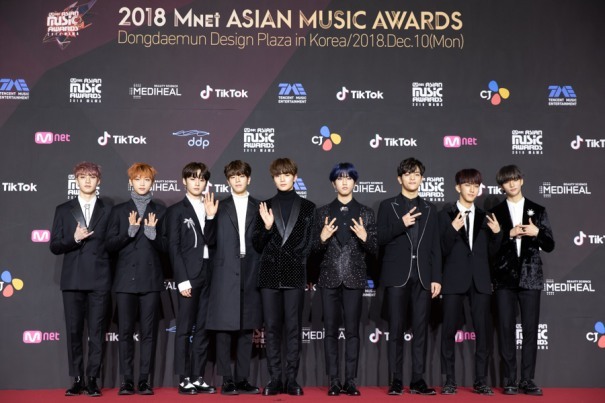 The nine-piece act ranked top in the poll for best new male artist, determined through preshow online voting by fans, which ran for about a month, from Nov. 1 to Sunday midnight. 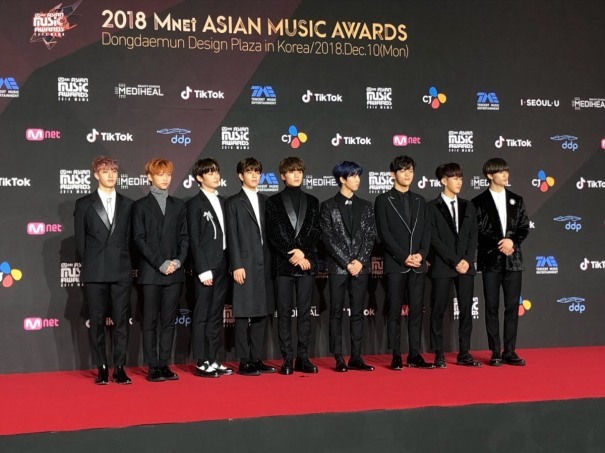 Stray Kids trumped the poll, earning close to half of total votes with 49.10 percent. This year’s poll for MAMA garnered more than 10.9 million votes. Fan voting is just one of the criteria for each award, which includes expert evaluation, album and song sales data, music video view counts and social media voting. 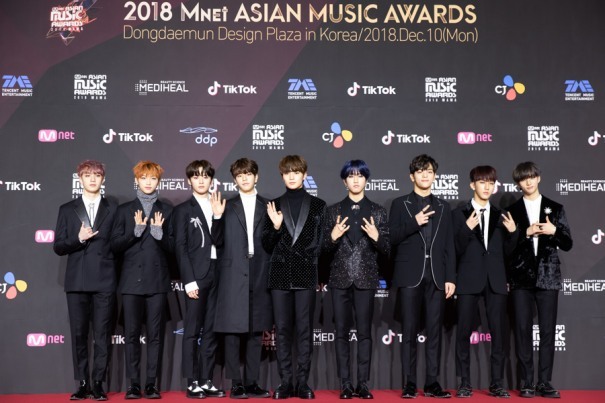 Nicknamed “JYP Entertainment’s secret weapon,” Stray Kids debuted in March with EP “I Am Not,” consisting of seven tracks penned and composed by the group’s production team known as 3Racha. The unit of producers comprises Bang-chan, Chang-bin and Ji-sung. 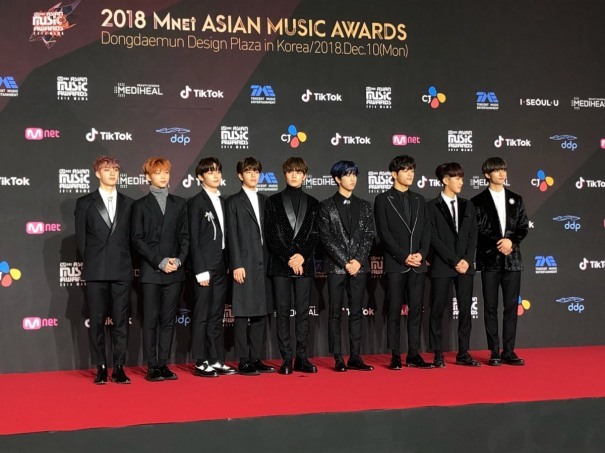 Stray Kids received the best new artist award at the Asia Artist Awards, MBC Plus X Genie Music Awards, and Soribada Best K-Music Awards.